weight loss & support for Anti-Aging with great taste! Premium Matcha tea - Selected by Japanese Tea Masters. Japanese Special Condiments for Chefs! 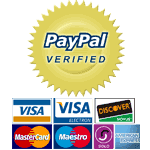 For more countries, please click paypal icon below, it will take you customer support center. What makes Japanese Green tea so super healthy tea in the world? Green tea's medical benefits are widely recognized in worldwide resulting in its increased popularity. 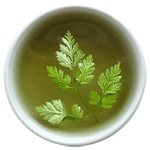 The most recent reports indicate that this one of best herbal remedies tea, "Green tea" is believed to be very useful in increasing a person’s metabolism. Also it will provides your body with many other benefits, extra protection against obesity and many types of disease and chronic. Green tea contains variety of antioxidants called polyphenols which removes free radicals from body. Free radicals are known to damage body cells, these are formed naturally in body or can be induced due to other environmental toxins like Air Pollution, UV rays, Cigarette smoke, etc. Antioxidants in green tea help neutralize these radicals and results in various health benefits. All of this occurs primarily because of a key ingredient present in it. This primary component is known as "EGCG (epigallocatechin gallete)," is the most active form of the Catechins responsible for green tea’s antioxidant, anti-inflammatory, and metabolic effects. Especially, Japanese green tea has a large amount of powerful antioxidants EGCG (epigallocatechin gallate), rich variety of vitamins and minerals more than any other teas. Recent articles, Published：January 25, 2013 by The Journal of Clinical Investigation. The anti-cancer effects of EGCG : Effect of EGCG and vardenafil in combination on myeloma cell proliferation in vivo. 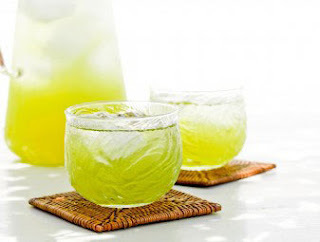 What is special about Kyushu Island Green tea ? 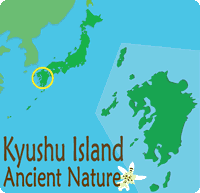 History: Since ancient time, Kyushu Island was the gateway place and an important center of trade with China, Korea and other parts of Asia. Green tea has been brought to Kyushu Island when its plants is brought from china by Japanese monk and been used as a medicine as herbal remedies since 11th century , and after we make improve it more medicinal and nutritious as traditional alternative medicine from developing own processing. Characteristic: Kyushu green tea is high quality and nutrient-rich Japanese green tea. Because it is grown at the southernmost tea producing region in Japan where the weather is warmer, the day is longer compared to the other areas. Kyushu Island has the largest number of natural mineral water sources and hot spring source in Japan. Also it is grown from rich fertile soil with plenty of natural mineral water and tons of sunlight in ancient wild nature. Those environment made the powerful and high quality green tea in Japan. In fact, the population of Kyushu Island has the higher rate of seniors, and we always see many senior live longer in great health condition. 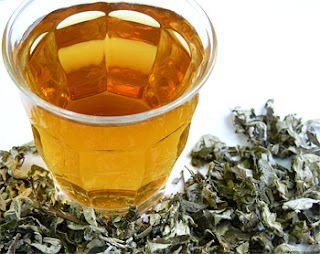 We believe that one of the reasons is that we have been habitually consuming green tea as alternative medicinal herbs with rich in nutrients for a long time in our history!! What is so special, compared to the other types of teas! The reason that Japanese green tea has more health benefits than any other tea even Chinese green tea, is due to the processing. Steaming tea leaves is one of the most important process in making green tea in Japan. 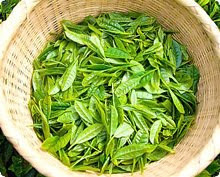 Also it is a factor to make a decisive difference to the other types of teas. ※This process is taken only with the Japanese green tea. Other kinds of tea (Black, Oolong, Rooibos, Jasmin and Chinese green tea), do not go through this steaming process, they are usually fermented and roasted instead. This super anti-aging healthy tea makes you stay younger and helps you to boost metabolism and control weight in good health condition. ※Epigallocatechin gallate (EGCG) found in it is now popular for active ingredient of cancer prevention, also weight loss. It is now popular drink of supermodels, athlete, smoker and people living in air polluted area. How green tea supports for Weight Loss and Diet. 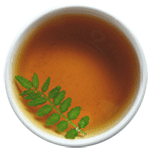 It contains an active ingredient " Catechins," epigallocatechin-3-gallate (EGCG) which is known for its antioxidant activity, it blocks absorption of sugar and increases your metabolism what cause you to burn more calories a day. The polyphenol found in it works to increase levels of fat oxidation which force to digest of fat in the intestine, also it reduces cholesterol levels in blood, and improves the ratio of good cholesterol to bad cholesterol. Some studies show that substances in green tea may offer several weight-loss-promoting effects, such as speeding up your metabolism and suppressing your appetite. Green tea weight loss diet is a great way for everyone to lose weight easily and naturally, without any negative side effects. Even more beneficial to anti-aging, detox and rejuvenate your skin by it's containing of vitamin E, C, L- Theanine (essential amino acids) and Beta-carotene. It mean that you can lose weight and at the same time it enable you to get younger healthy looking and beautiful skin condition. How much should you drink daily to lose weight? It is usually recommended to drink 7-8 a day. If you want to lose weight fast and be younger looking, replacing a soda with a green tea is definitely efficient ! Drinking a single cup of green tea before exercise helps to increase fat burning. 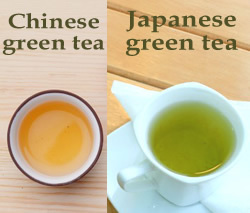 You may like to read " More detail of Japanese green tea health benefits." polyphenols (catechins, included epigallocatechin gallate as EGCG), L- Theanine (essential amino acids), r-amino acid (GABA), tannin, flavonols, saponins, vitamin C, vitamins A, B1, B2, B12, K and P, minerals (iron, magnesium, calcium, copper, nickel, zinc), carotene, flouride, theophylline, caffeine, plant fiber, complex carbohydrate, potassium, folic Acid, Biotin. No solubleness catechin, No solubleness Mineral. Best way to get all of its health benefits is put Matcha green tea powder in your tea. Powder of it can take all nutritions of it. 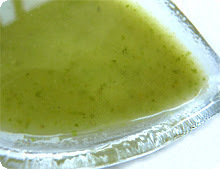 ※We prepared three kind of Uji Matcha blend green tea loose leaf tea. Green tea have little bit caffeine (significantly less than black tea and coffee), also it actually make you good condition! Many people consider that caffeine is bad, but Green tea caffeine is not. Many researches prove that the caffeine in green tea is different than caffeine in coffee, because its caffeine joins with Catechins, that structure and Theanine suppress caffeine's excitation function, it leads to make your muscle more active and powerful, also make relaxed state in your mental and relief headache. If you have any questions or comments. Tell us!! We can answer them. Thank you for your nice reviews!! We believe that all of our customers will be satisfied and enjoy our products. We work hard in order to help our customers lead a healthier and a greater life! 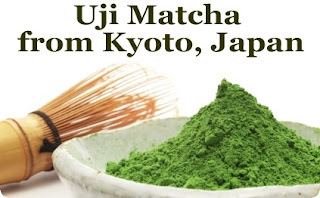 your Uiji Premium Matcha is great value for such premium quality. it has become my staple daily drink morning and afternoon. I have found it very beneficial in giving me stamina and thought clarity throughout the day as well as stemming my hunger and coping with work stress. Thank you for making this Uiji premium matcha at such great price. I would also be interested in trying Gyokurowhen it is available. Thank you for your nice message!! 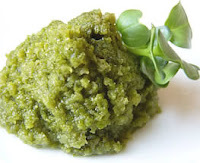 Genuine Uji Matcha is usually very expensive, but we offer reasonable price compared to others. Our finest Authentic Uji Matcha is one of the best seller items in our shop since we open. We believe that most of Matcha lover customers satisfied with our products. Hi. Do you have a shop in kyoto? Thanks. Hello! We are located in Kyushu Island, the southernmost major island in Japan. We do not have a shop in Kyoto, but we carry Uji matcha green tea powder from Kyoto, Japan which is one of most popular tea in our shop! 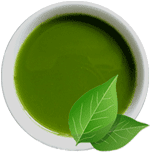 Kyushu Island green tea is top quality green tea which is grown at the southernmost tea producing region in Japan where the air is clean and full of nature. We ship Fresh Green tea worldwide directly from Kyushu Island, Japan! 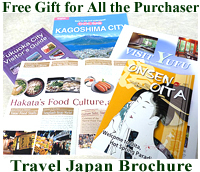 For All the Purchasers, we send a Free Travel Brochure of Japan. Safer, Easier way to shop 100% Protection against unauthorized transactions & Identity Theft. Our products are safer and clear for the strict quality inspections with confidence. Japan's strict and reliable inspections have made the food and products reach the world's top level in the food safety. All our staff is Japanese women who speak English! Ask us any questions on facebook! Diet for Japanese Green tea with asian medical herbs, yuzu citrus kosho from Japan. Copyright © JapaneseHealthyProduct.com All rights reserved.